Is a Wedding Vow Renewal Ceremony for You? Destination weddings have increased in popularity over the past five years, as the children of the “baby boomers” reach marriageable age. But what of the “baby boomers” themselves? 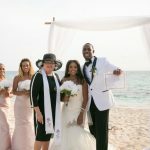 The Destination Wedding industry is now experiencing a new wave, as older couples seek to renew their wedding vows, and make a recommitment to their partners. What better than to have a “Destination renewal of vows” often with good friends, or with grown children and grand children? Grand Cayman is an excellent destination for vow renewal ceremonies. There are three main reasons which make this location popular. The first is its proximity to the US mainland, and the ease of air-travel to the island. The second is its beauty, and reputation as a safe and friendly vacation destination; and the third is the professionalism of its wedding services and vendors. Most couples are looking for a fairly small event, very tastefully done, elegant, rather than elaborate. 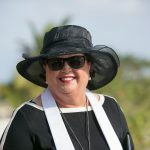 Grand Cayman’s wedding vendors meet all these requirements admirably. A wedding vow renewal ceremony has three parts. First, the preparation… if you are very lucky, you might still fit in your original wedding dress, but most ladies will opt for something light and simple, befitting the tropical climate. Most gentlemen will want to chose something light and tropical as well, a crisp white shirt, worn outside the trousers, or perhaps something gaily coloured. Whatever you chose, flowers will enhance your outfits and make the occasion even more special. For wedding renewals, tropical flowers, especially orchids, and perhaps a few roses for accent are popular nowadays, with strategically placed exotic blooms on lapels, or in the table decoration. Wristlets are currently more in vogue than the traditional corsages. Simple hand ties posies rather than cascading blooms catch the spirit of the event. The second part of the renewal is the ceremony itself. 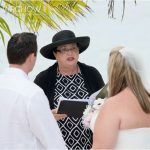 Perhaps even more than a wedding ceremony, you should work with a wedding celebrant who is sensitive to your needs and your wishes, and who will prepare a ceremony which has special meaning for you as a couple. Some couples make their renewal ceremony a time of thankgiving, and therefore want it to have a spiritual bent. Most couples want a blessing on their marriage and their home. Your ceremony can include contributions from a friend, a family member, or a child. This personalisation will make your renewal ceremony unique to you as a couple. It is up to you whether you want to have your original wedding rings re-blessed, or use new rings, couples use either option. Some couples choose to write their own vows, or use the words of a song or a poem which has particular meaning for them, or you can ask your wedding celebrant to show you a selection of his/her standard wedding renewal vows. Most often nowadays, these vows are modernised versions of the standard wedding vows, which mention the need for listening, respect, and caring. Most wedding celebrants will give you a renewal certificate which records the event, and which is witnessed by at least two guests, and signed by the wedding celebrant. Your marriage renewal certificate is not a legal document, in that it does not have to be registered as a contract the way a marriage certificate does. Rather it is a symbol of an earlier agreement, in which two people renew their choice of a life partner. Done well, a marriage renewal ceremony can be a very uplifting occasion for all involved, an outward symbol of a recommitment to a relationship which has weathered the ups and downs of life and remained strong and triumphant. In many ways it is often a sign that a relationship has entered a new, even stronger phase. Perhaps this is why so many couples are feeling the need to celebrate important milestones in an enduring relationship. 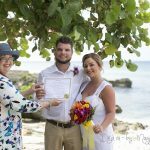 If you have been thinking of making a public statement to your friends and family, or just to your partner, you might want to consider renewing your wedding vows in the beautiful Cayman Islands, and of course, you’ll already be at one of the world’s favourite destinations for your Second Honeymoon.